Inspired Visions by Peak Season offers the finest in decorative outdoor furniture and accessories produced with attention to the smallest detail. In looks that redefine traditional and expected; to more clean transitional and elegantly styled collections; Inspired Visions has a style that will meet your needs and exceed your expectations. With design elements in each collection typically found only on high-end indoor furniture you will be able to create a beautiful outdoor living space to enjoy for years to come. 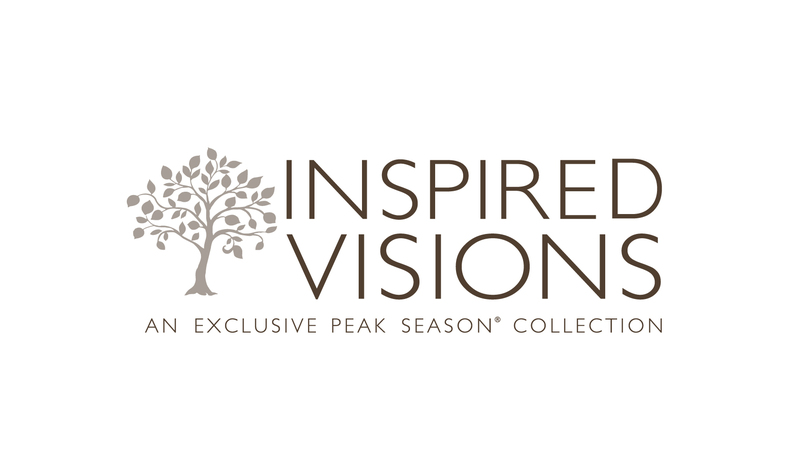 Inspired Visions casual furnishings are made with the finest of raw materials including all-weather wicker, hand-painted or powder-coated aluminum, genuine stone tops or an exotic combination of these quality long-lasting materials. Durable, weather-resistant high-performance Sunbrella fabrics cover the luxurious cushions making the outdoor furniture suitable for both covered and uncovered areas. Each outdoor seating cushion features a thick polyurethane foam wrapped with a layer of polyester fiber for added seating comfort and longevity. The cushion core is then encapsulated with a non-woven polypropylene liner that helps to expel moisture and provide a quality appearance. The hand-painted finishes are applied over a powder-coated aluminum frame and sealed with a clear coat for added protection against the elements. Each piece in the Bungalow, Panama, Somerby, San Marco and Newport collections are hand-painted to give the characteristics of a fine wood-grain finish. The Lancaster and Maddox collections also feature a hand-painted finish for unique and beautiful characteristics. The Panama, Newport, Somerby, Siesta and Sarasota Collections feature hand-woven all-weather resin wicker that is designed for the outdoors and does not fade, crack or peel. Peak Season features a full line of outdoor accessories to perfectly compliment all collections as well as add a designer’s touch to your existing decor. These accessories include outdoor shelving for your outdoor decor, serving, entertaining or even as a stylish home for your outdoor TV. In addition to their shelving, you will find a beautiful selection of outdoor lanterns, outdoor table and floor lamps, occasional tables and much more. We have selected the Lancaster collection for our showroom; however, all collections are available for special order. We have highlighted all collections offered by Inspired Visions below. Please visit our store to see the full catalog and available fabrics, finishes and wicker weaves. Special orders typically ship within 10 days when selecting a stocking Sunbrella fabric. 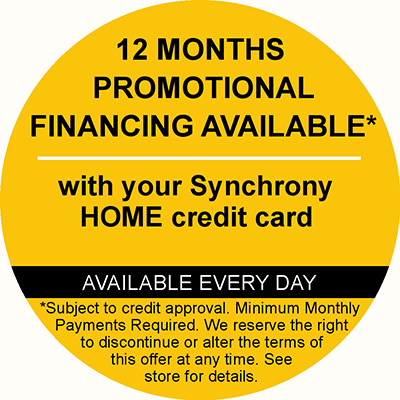 All Sunbrella fabrics are available for special orders and will add approximately 7-10 days to the lead time. The Panama Patio Furniture Collection from Inspired Visions features a beautiful hand-painted teak finish on an aluminum frame wrapped with hand-woven all-weather resin wicker. The Panama collection also features a dining chair, swivel rocker dining chair, plus a counter-height bar stool and tables as well as outdoor seating pieces including lounge chair, spring-action lounge chair, swivel rocker lounge chair and sofa. The Somerby Patio Furniture Collection from Inspired Visions features a hand-painted Perdido finish on an aluminum frame wrapped with hand-woven all-weather resin wicker. The styling is timeless and the attention to detail is apparent from the elegant chair legs to the curved backs and arms. The collection includes patio dining chairs and dining table as well as outdoor seating pieces including sofa, lounge chair, over-sized cuddle chair, spring-action lounge chairs and a loveseat. The exquisite Newport Collection from Inspired Visions features a fully upholstered chair on an aluminum frame wrapped with a beautiful twisted all-weather resin wicker. The "smart upholstery" engineering of the outdoor seating truly brings the luxury of indoor furniture into the great outdoors. Each piece is constructed with multiple layers engineered for quick water drainage by sandwiching a reticulated foam and textilene liner between the HDPE wicker and the Sunbrella interior fabric resulting in a worry-free outdoor upholstered piece. The Bungalow Patio Furniture Collection from Inspired Visions features a hand-painted Perdido finish on an aluminum frame. The slat-back frame will compliment any outdoor setting. The Bungalow collection is one of the largest from Inspired Visions and includes a high-back spring-action lounge chair, sofa, loveseat, lounge chair, standard height spring-action chair, rocking chair, chaise lounge as well as patio dining chairs in stationary and swivel rocker styles plus a counter-height bar stool. The Siesta Collection is a contemporary style sectional with endless configuration opportunities. The hand-woven UV resistant all-weather resin wicker is wrapped around a fully welded frame and perfectly compliments the hand-painted finish of the Inspired Visions patio tables. The Maddox Collection features a warm taupe hand-painted finish call Cobblestone combined with a smoke resin wicker hand-woven around a durable aluminum frame. The graceful arms accentuate the high back of the swivel lounge chairs which pair beautifully with the loose-pillow back sofa. The Wynnwod Collection features a hand-woven resin wicker over a fully welded aluminum frame. The traditional barrel-shaped styling has a higher back for comfort and is a home on the patio or in your dining room. Peak Season has taken the concept of indoor living to outdoor living in every way. Their all-aluminum Parson Shelf and Entertaining Tables will complete your outdoor space in style. The hand-painted finishes will compliment a variety of color schemes as they are incredibly realistic to real wood furniture. The Entertaining Tables are the perfect place for your outdoor TV and are available in a variety of table-top materials. Peak Season is also well-known for their outdoor lighting and throw pillows. The lanterns feature a high-grade automotive finish on a powder-coated steel for durability outside. All throw pillows are covered in weather and fade resistant Sunbrella outdoor fabrics. Exquisite outdoor table and floor lamps will add light in the evening and beauty during the day.